Once a year, a group of kids get to experience what many children experience summer round – access to Lake Norman. In June, Big Brothers and Big Sisters participate in the Big Day at the Lake that Business Today publisher Dave Yochum has poured his heart into. The project typically pairs 120 to 150 kids with a Big Brother or Sister for the day. Local lake businesses and community citizens have embraced this project providing a day of fun, food, and fellowship on the waters of Lake Norman. Simply put, it is a great event! The shame is for the other 364 days of the year, the region’s greatest recreational asset is largely off limits to a huge segment of our population. Not since the civil rights struggles of the 1960’s has one demographic of the population been denied the privileges afforded others. Lake Norman, which covers more than 32,500 acres with 520 miles of shoreline, has only one public swimming area and NONE on the Mecklenburg County shoreline of the lake. Certainly people who have worked hard and earned their respective lakefront property deserve the fruits of their labor. Thousands more have boats and personal watercraft that give them access to our greatest liquid asset – Lake Norman. However, if you do not know someone with lakefront property or someone who has a boat or watercraft, you are one of the growing majority denied access to North Carolina’s largest man-made lake. Residents of North Mecklenburg and South Iredell and our visitors have one alternative – Lake Norman State Park located at exit 42 in Troutman. The park is a nice amenity with hiking trails, picnic shelters, and a public swimming area. But the point is that taxpaying residents of our region, the visiting public, and perhaps most importantly – our children – should not have to travel to Troutman to access the waters of Lake Norman. The real shame is Jetton Park in Cornelius, with its beachfront, was originally designed for public access but the threat of liability has led Mecklenburg County to enforce a strict “no public swimming” policy for its parks. There is a great injustice to thousands of families and residents who are denied the privileges of swimming at Lake Norman because of one simple demographic – household income. The issue of public access at Lake Norman is not a racial issue but it is one of fairness and we should do something about it. One thing is for certain – nothing will change until the cry for change is heard so often and so loud that it cannot be ignored. As the civil rights leaders of a generation ago would admit – no great struggle is easily won. However, the struggle for fairness will always win the day if you believe and work hard enough for the outcome. “Well you’re here,” I replied back. My response was well received as I could hear the gleeful conversations going on in both cars. “Great,” said the young man whose grin had exploded into a wide smile across his face. “Where can you go swimming?” he added. It’s a question I’ve answered countless times throughout my time at the Chamber. 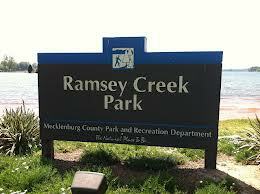 I informed the young man that we didn’t have public swimming here in Mecklenburg County. He and his group would need to drive 20 miles up the Interstate to Lake Norman State Park. Looking at my watch, I also informed him that it likely will be closed by the time he arrived. I could see the dejection on his face. I literally felt the exhilaration and energy that had once occupied the cars wither on the hot pavement below as the two cars of disappointed youngsters drove back home. It’s moments like that – I really feel bad. I cannot help but think of the Chevy Chase movie Vacation when the family treks across the country only to find the amusement park is closed for repairs. It is time to change an archaic policy that has no place at Lake Norman. We have a great lake. Largely in part to the hard work of Visit Lake Norman, Anglers across this country know Lake Norman as a great fishing venue. Water enthusiasts enjoy sailing, boating, skiing on our waters. It is simply a great lake! It is also a missed opportunity for our travelers and tourists staying at our hotels. More importantly – it’s a quality of life issue for our families. While pools are available at the hotels and parks – there is much to be said for the cool embrace of an inviting lake. Our greatest liquid asset shouldn’t be off limits to the public. 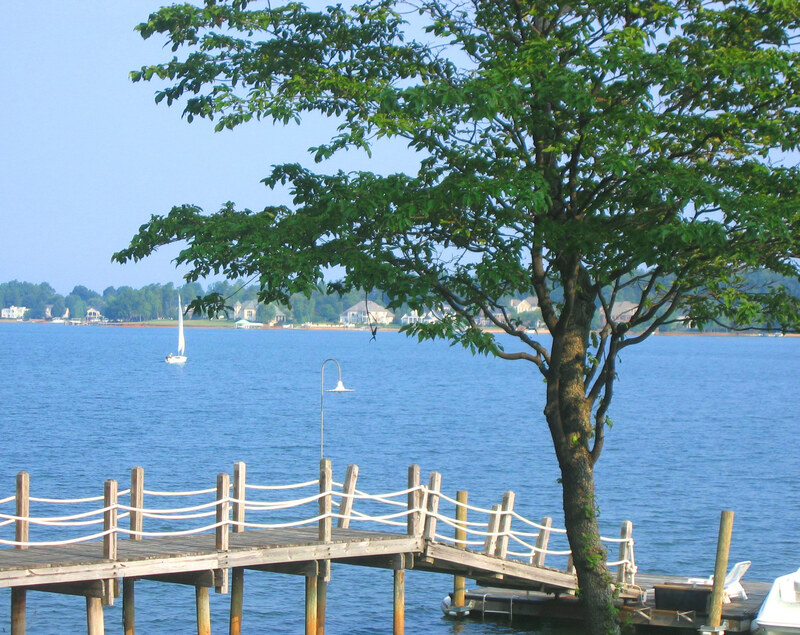 Lake Norman is not just a large body of water – it is a lifestyle everyone should experience.